If you’re not yet familiar with the ROSS (transitioning to ROSE) project, please check out its main page HERE. Also, if you didn’t read about the first trip to this glacier, see HERE! 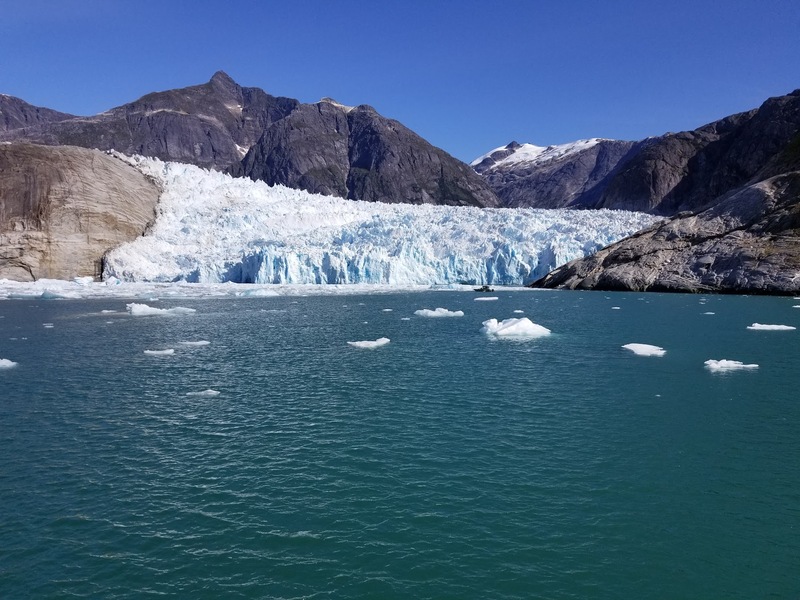 This was a followup trip to the one linked previously where a group of engineers and scientists flew to Petersburg, AK and boarded the vessel “Stellar” to take measurements at the LeConte glacier face using ROSS. This trip was much shorter and straightforward than the previous trip as we had largely fixed many of the issues we’d encountered in May. Unlike the last trip however, on this trip I was the only engineer able to help with electronics as the electrical lead and good friend, Nick McComb, couldn’t attend. Even so, the electronics were mostly consistently functional throughout this trip and the issues encountered were easily solved. However, though the kayaks were more stable for this trip, the ice calving at the glacier face was MUCH worse. So while we did get some data, it was not nearly as much as we would have liked. There were a few days this trip where it was literally impossible to put ROSS in the water, and at times, to even move the Stellar around the channel. It was described by the captain and first mate as “Worse than anything they’d seen in 30 years of glacier tours”, so of course it had to happen while we were there. We did manage to recover the mooring that was deployed by us in May, as well as dropped a new one to stay down for probably a year or so. Even with the ice not playing nicely, the trip was still very fun, data was gathered, and I wasn’t killing myself with 16 hour days like the previous trip. Enjoy more photos above of this absolutely stunning place!